Shy white-tailed doe quietly peeks through the hemlock bows at dusk. is available for purchase, please contact. 5.75" x 5"9" x 8"12.5" x 11"15.75" x 14"19.25" x 17"24" x 21.5"
Gentle giant. Simple portrait of a Bull Moose. Beautiful, dignified eyes. Detailed fur, each single hair painted in, one at a time. 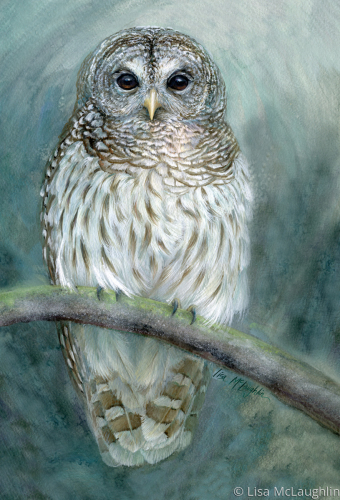 A young barred owl looks innocently at the viewer. beautiful, soulful eyes. A Lisa McLaughlin original watercolor study. The framed original is available for purchase. Please contact. 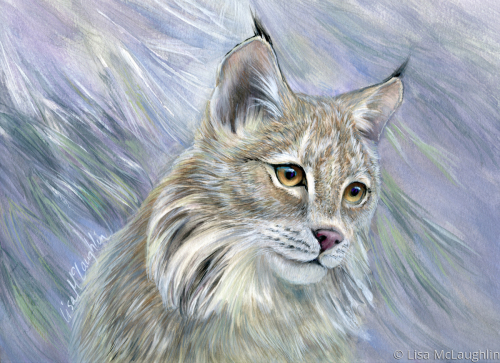 7.25" x 5"13.25" x 9"19.25" x 13"25" x 17"31" x 21"35" x 23.75"
Study of a young Lynx. While creating this painting I could see the big cat in every pet cat. The original unframed painting is available for purchase. Please contact. 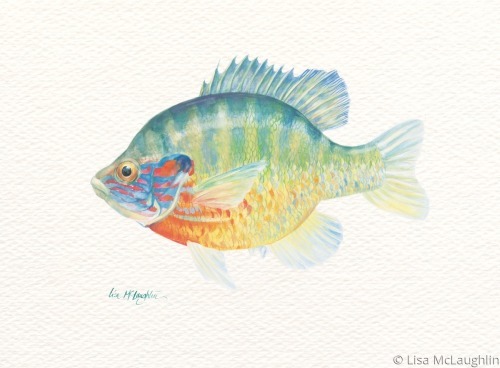 simple, study of a sunfish. A Lisa McLaughlin watercolor original. 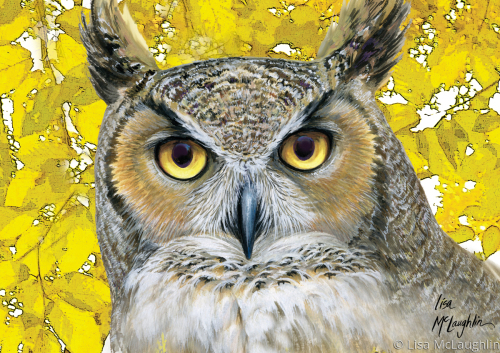 5" x 6.75"8" x 10.75"11" x 15"
A great horned owl looks right at the viewer with piercing eyes. A Lisa McLaughlin original watercolor study. 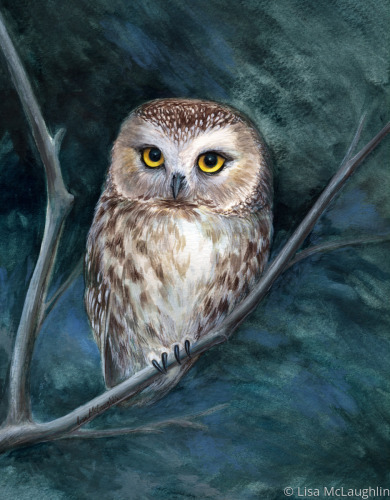 6" x 9"6" x 8.5"7" x 10"
Saw-whet, the little owl with big innocent eyes. Dark teal background. 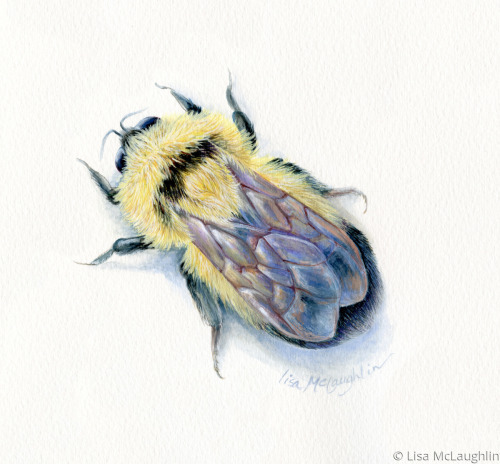 This Lisa McLaughlin original watercolor has been sold. 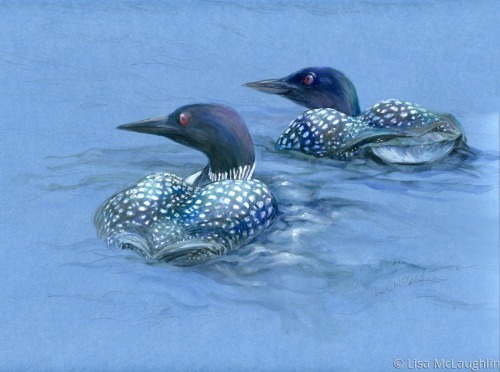 6.5" x 5"10.25" x 8"14" x 11"
A mated pair of loons swim together by the light of the moon. Mixed media, gouache, pencil, and watercolor, on a premium specialty paper. Mysterious. Deep blues. Professionally custom framed. the contrast in textures of translucent wings upon the fuzziness of a Bumblebee. 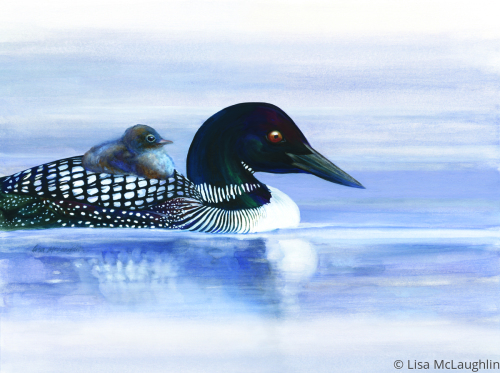 5" x 5.5"10" x 10.75"15" x 16.25"20" x 21.5"25" x 27"31.25" x 33.75"
A baby loon rests comfortably on mom's back as they float along peacefully. Realistic yet whimsical and full of personality. 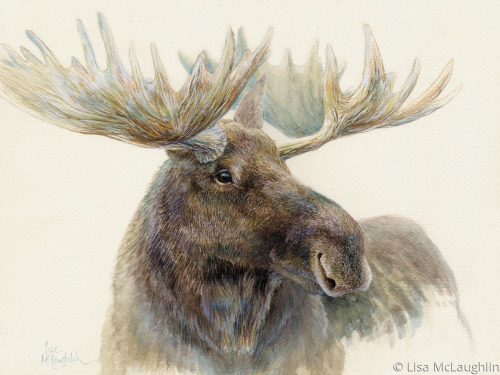 New original watercolor from wildlife artist Lisa McLaughlin. Hues of periwinkle. Professionally custom framed. 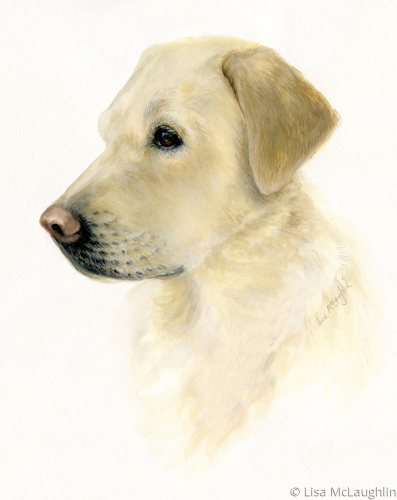 Artist Lisa McLaughlin's watercolor portrait study of a purebred English Labrador Retriever. The major challenges for this painting were: maintaining the soft tones of the fur, capturing the rich flaxen color of the coat with subtle shading. Painting required lots of small soft and highly blended brush strokes. 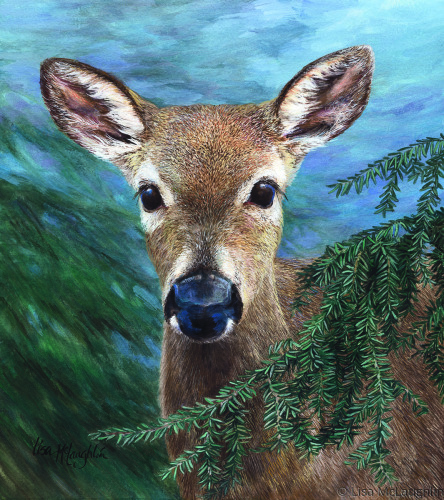 Sweet eyes, realistic, yet painterly. 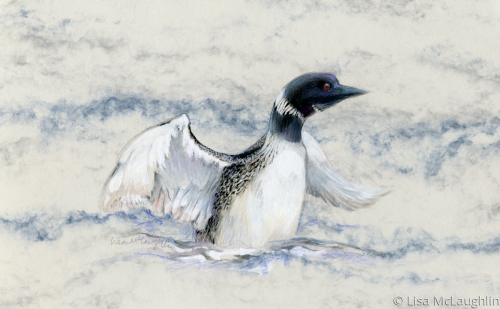 12.5" x 10"14" x 11"19" x 15"
Movement study of a Loon stretching to greet the day. Lots of energy. Energetic brush strokes. Lively. Whimsical mixed media original on acid-free specialty paper. Professionally custom framed. 5" x 8"8" x 13"11" x 17.75"14" x 22.75"17" x 27.5"21.5" x 35"